You Should Check Your Lottery Tickets Now > Win The Lottery Today > Guide To Tickets CALLING ALL LOTTO PLAYERS - HAVE YOU CHECKED YOUR TICKETS? CALLING ALL LOTTO PLAYERS - HAVE YOU CHECKED YOUR TICKETS? We don't know what it is lately - perhaps the change of season, or people feeling the strain as 2015 kicks into its second quarter - but the stories of lotto jackpots going unclaimed are spreading like wildfire. Just this week we've had three reports alone from lotteries around the world desperately searching for their lucky winners. As usual, the national lotteries are urging players to go on full alert. So if you recently bought a lottery ticket, make sure you've checked and double-checked your numbers. Look in your jeans pockets, down the back of your sofas and couches, under the seats in your car, in your laundry basket, your wallet, even in strange places like your fridge (who hasn't left their car keys in the fridge at one time or another?). It's never happened to us, but we would imagine there's nothing worse for a lotto player than finding an old lottery ticket and realising too late that it was worth hundreds of thousands - or even millions in some cases. 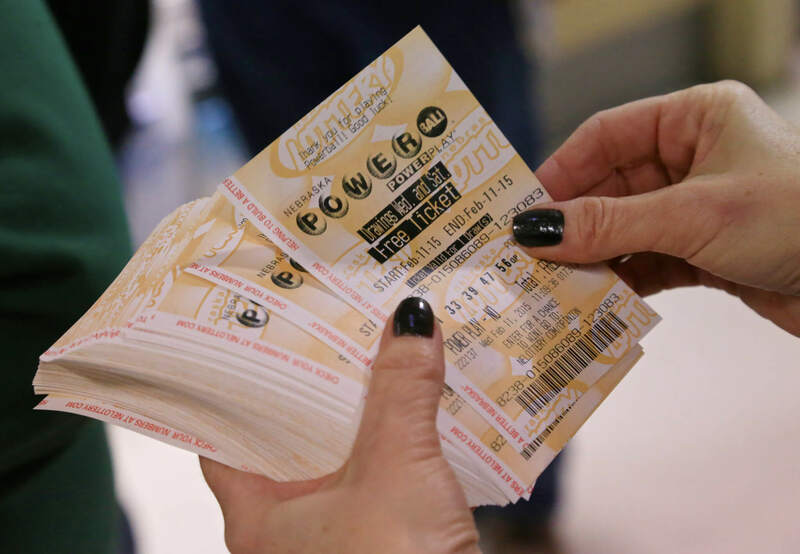 For one unlucky Californian player recently, their Powerball ticket was worth a massive $1 million - but because they'd lost their ticket, they were unable to claim the prize, and their winnings were retracted. Just soul-destroying. You'd think that with the advent of social media and the way everyone is so much more connected these days that missing out on lottery jackpots would be a thing of the past - but right now in Leicester, England, there's a £1 million EuroMillions jackpot going begging. And whoever the lucky winner is, they've got just two months left to claim it, before it gets distributed amongst UK National Lottery-funded projects across Great Britain. Australia has sent out its own lotto search party too, looking for the winner of a $316,000 prize from the first division of a recent Gold Lotto draw. Then there's the unclaimed lottery jackpot in Chicago as well - a $350,000 ticket that's out there, waiting to be brought in and redeemed for the chance to change one lucky lotto player's life. Stories like these are all too common, and in fact we were shocked to find out that millions in lottery jackpots go unclaimed each year, either being reincorporated back into the lotto prize pool, or donated to charities or other worthy causes. Thankfully, if you're a GiantLottos.com player, that's an eventuality you'll never have to worry about. That's because once you sign up to buy your lottery tickets online with GiantLottos.com, we'll help you keep track of your lottery purchases, and your lottery winnings too! Whenever you buy your lottery tickets online with us, we'll send you an email confirmation, giving you all your purchase details in a safe place. Once your particular lotto draw has taken place, if you've been lucky enough to win a lottery prize, we'll send you a notification email giving you the good news. And if Lady Luck is on your side, and you manage to hit the big one, you'll receive a personal phone call from your dedicated account manager with all the awesome jackpot details! So make your play for lotto greatness with GiantLottos.com today, and make sure you never miss out on a jackpot, ever. The mid-week lotto draws are waiting - get your tickets online while you still can, and get up-to-the-minute winning notifications, only from GiantLottos.com!